Add an extra day to extended your 4wd hire over 4 days - not this is a add on to a package already booked as it doesn't include barge transfer etc. 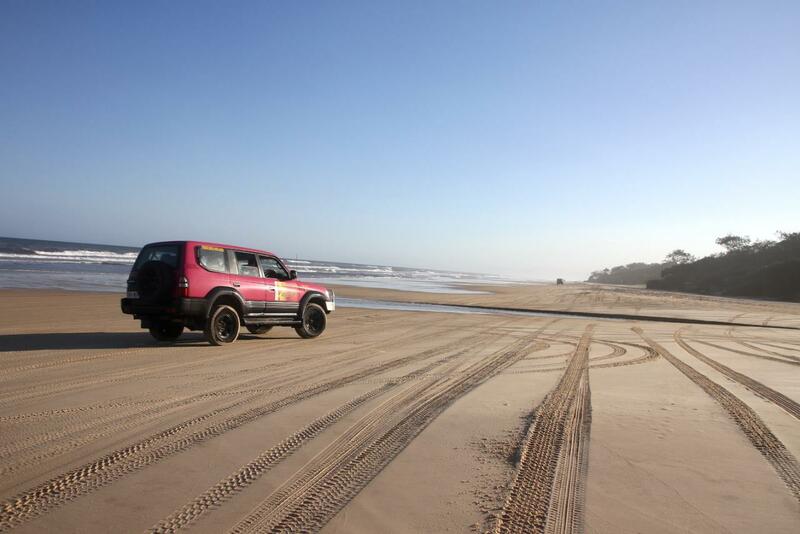 This is an extended self-drive 4wd experience (more than 4 days 3 nights) to Fraser Island. You get a customised itinerary that coincides with the low tides on the eastern beach where you can drive along the beach to see the Maheno shipwreck and the coloured sands, stopping at the famous Eli Creek. This 4 or more day getaway allows you to travel as far as Indian Head and Champagne Pools on the second or third day tides permitting. But thats not all Lake Wabby is a must and with so much time you'll get an enjoyable visit to Lake McKenzie, with plenty of time to get the 3 or 5 pm barge. Choose this option with a camp package or private accomodation, we're happy to book it all for you, so just sit back and relax.